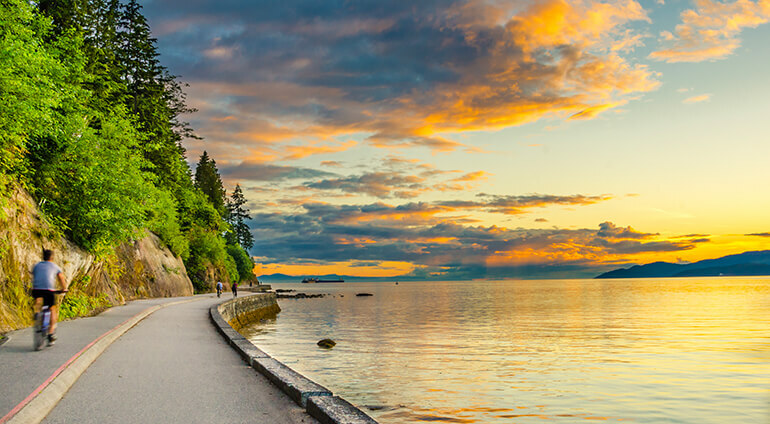 Vancouver International Airport is 8 miles south of the centre, which is easily reached by the city's SkyTrain metro system, taking around 25 minutes to reach Vancouver City Centre station and costing around C$9 ($9). Taxis also operate from the airport, taking around 30 minutes and with fixed rate fares starting at C$25. TransLink run a network of buses, rapid transit (SkyTrain) and passenger ferries which are good options for travelling around the city or the Vancouver Trolley Company is popular with tourists, providing a hop-on-hop-off route around the city’s major attractions.